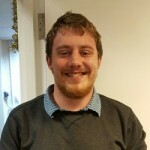 We have recently appointed a Volunteer Co-ordinator Matt Sowerby, who introduces himself below, as part of a project funded by the Welsh Council for Voluntary Action (WCVA). Matt’s role will be to develop volunteering opportunities in the area. Hello, my name is Matthew Sowerby. I have recently been given the job of volunteer coordinator for Brecon and District Mind. This is a new role in the organisation designed to help the members and outside volunteers to find new interests and start up new projects for everyone to be involved in. I am very happy to be a part of such an amazing team of people and am excited to get to know everyone and find out what you all want to get out of volunteering with us. I have been in Brecon for over three years where I live with my wife and our dog “Dec”. We run a dog boarding business and love having so many dogs around us all the time. Before working here I worked in South Africa and at a wildlife education centre for four years and then at London Zoo where I was keeper and trainer and presenter. The national park offered me a traineeship last year which meant I got to spend a lot of time around getting to know local people and helping with the wardens outdoor work. I am Yorkshire by birth but I still support Wales! The rugby! My wife is from Brecon and she was the person that introduced me to this amazing place. I hope I can be helpful to Mind and to everyone here. If anyone wants to know more about what I can do please chat to me at Tŷ Croeso or whenever.